The 2012 edition of the critically acclaimed Experience Hendrix concert tour, will launch with a three week run of dates starting March 6th featuring an all-star lineup of musical greats paying homage to the abiding genius of Jimi Hendrix. Presented by Fender Musical Instruments, Dunlop Manufacturing, Hal Leonard Corporation, and IK Multimedia, this year's tour will include performances by Buddy Guy, Dweezil Zappa, Billy Cox, Robby Krieger [The Doors], Robert Randolph, Jonny Lang, Kenny Wayne Shepherd, David Hidalgo & Cesar Rosas [Los Lobos], Keb' Mo, Eric Johnson, Brad Whitford [Aerosmith], Living Colour, Chris Layton [Stevie Ray Vaughan & Double Trouble],The Slide Brothers as well as other special guests to be announced. The announcement coincides with latest issue of Rolling Stone wherein Jimi Hendrix was, predictably, designated "The Greatest Guitarist of All Time." The tour will alight in twenty markets including Baltimore, Nashville, Atlanta, Miami, Orlando, , Houston, Austin, Denver and more. In terms of format, the tour offers multiple opportunities for performers and audiences to witness unique collaborations among the participating artists such as Dweezil Zappa with Billy Cox, Buddy Guy with Robert Randolph, Jonny Lang with Brad Whitford and will highlight these artists and the others performing their favorite Hendrix signature songs including "Little Wing," "Fire," "Purple Haze," and "Voodoo Child (Slight Return)". As has been the case with previous Experience Hendrix outings, special guests are expected to sit in at many of the dates, making the concerts all that much more memorable for both new and veteran Hendrix fans. Past special guests have included Paul Rodgers, Joe Satriani, Hubert Sumlin, Steve Vai, Carlos Santana and others. The tour's presence has been made known on national TV with Robert Randolph performing classic Hendrix on the Late Night With Conan O'Brien, and Jonny Lang on Jimmy Kimmel Live and The Tonight Show and Kenny Wayne Shepherd playing Jimi Hendrix's actual Woodstock guitar on Late Night with Jimmy Fallon. Shepherd, a veteran of several Experience Hendrix tours remarked, "Jimi Hendrix's music has really inspired me to push the limits of my own music. He didn't observe any boundaries musically. He was an amazing player and a tremendous showman so I incorporated some of his showmanship in what I do." As far as having been part of the Experience Hendrix touring phenomenon, Shepherd noted, "It touches you on the inside and gets you fired up." 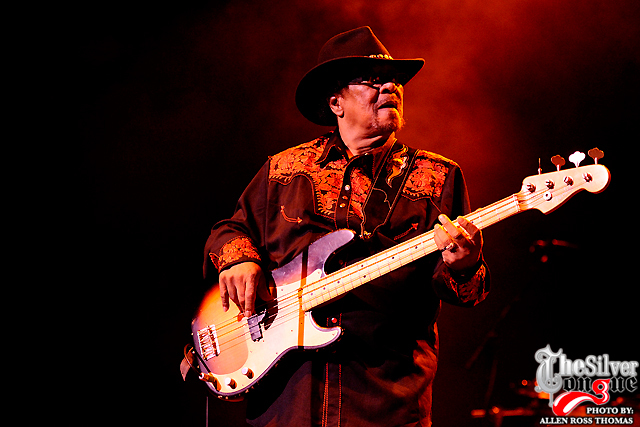 Anchoring the tour is Billy Cox, the legendary bassist whose relationship with Jimi Hendrix and his music dates back to the early 1960s when the two met while serving in the U.S. Army's 101st Airborne Division. The two bonded over their love of music and would later work together backing R&B acts on the "chitlin' circuit." They reunited when Cox was recruited to be part of the Jimi Hendrix Band of Gypsys as well as the ultimate iteration of the Jimi Hendrix Experience, performing at such landmark festivals as Woodstock and the Isle of Wight. Cox, who has been part of all previous Experience Hendrix tours, notes, "It's always a great thrill and honor for me to play Jimi's music for audiences now just as it was in the 1960s. The Experience Hendrix tours have shown how timeless this music really is and is just wonderful that we've continued to get an infusion of new, very enthusiastic artists to participate and are able to offer the most wide-ranging Jimi Hendrix-related repertoire possible." Janie Hendrix, President/CEO of Experience Hendrix L.L.C., noted, "Everyday, we see how Jimi's musical legacy continues to transcend generational and cultural boundaries. It's always been our continuing mission to do all we can to celebrate what he's given us and to keep his music in the forefront and the Experience Hendrix tour does that most directly. As a child Jimi promised to take care of me and I promised to take care of him. He wanted people to experience the 'Electric Church' and wake 'the sleeping people.' The Experience Hendrix Tour does just that with brilliant musicians who love Jimi and will electrify the stage with his music and sound,"
Notes Experience Hendrix Tour producer John McDermott, "The line-up for this tour reflects the breadth of Jimi's ongoing influence that reaches down through the generations. The guests that have been attracted to participate are enthusiastic about the proposition of performing with their counterparts. That mindset underscores the fact that the Experience Hendrix tour is all about musical camaraderie and the recognition that Jimi Hendrix, undeniably, casts the longest shadow in the realm of great music and great musicians." Massively popular with fans and critics alike, last year's Experience Hendrix tour inspired Larry Rodgers of the Arizona Republic to rave, "It was encouraging to see fans of all ages, from teens to baby boomers who witnessed Hendrix's career launch firsthand, in the Mesa crowd. The show and that crowd made it clear that Hendrix's magical music will never die." Ben Weiner Orange County Register characterized the show as "an all-star array of modern and legendary guitar greats in a nearly three-hour tribute to the most innovative virtuoso who ever touched six strings. It helped, of course, that the performances were uniformly strong, even inspired, an Electric Church encounter that one likes to think would have made Jimi proud." Jeff Miers Buffalo News wrote, "The nearly three-hour show moved from peak to peak, as varying configurations of musicians gathered to explore the Hendrix canon." Scott Mervis: Pittsburgh Post-Gazette: In the end, amidst all the star power on stage, the message reaffirmed in every lick, riff and warped melody was the wild and true genius of Jimi Hendrix. Dan Durchholz, covering the tour for the St. Louis Post Dispatch marveled at how "...the Experience Hendrix tour showed just how pervasive (Hendrix's) influence continues to be. The three-hour show featured an all-star lineup from a variety of musical traditions, united by a collective debt to the iconic artist's songs, showmanship and trailblazing technique. 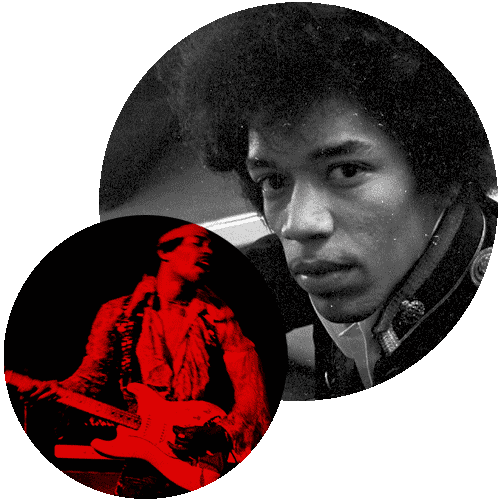 Despite its creator's demise decades ago, Hendrix's music is still alive and well." The Experience Hendrix Tour is presented by Experience Hendrix, LLC, the Hendrix family-owned company founded by James A. "Al" Hendrix, Jimi's father, entrusted with preserving and protecting the legacy of Jimi Hendrix. Two years ago, Sony Legacy and Experience Hendrix entered into a worldwide catalog licensing venture to make all of Jimi's extraordinary music, including classic albums, never-before-heard archive recordings, and filmed concerts available through all forms of media.